Here are some git commands concerning the manipulation of branchs. To start a git project, it is better to know some useful commands in order to understand how it works. This article allows me to memory some useful git commands. I suppose there is aleready a git remote repository (something like github, bitbuckets, gitlab etc.) and already done “git init” in local directory. First of all, find the l’url of the remote repository (for example github), I’ill take Microsoft TypeScript for instance. We have two types of URLs : SSH or HTTPS. Take one of them. Normally, there is no difference. If you see this, it is because the permissions of your_file has changed. For information, the unix file permission mode(644=rw_r__r__ which means read and write for user, only read for group and only read for others, the same for 755=rwxrw_rw_, x for executable). This article is not a tutorial of git command, there are already so many articles explained the usage of git. So it is only a sticky note for me, only ! To pull a project, the command is pull or fetch, and to override local change, the option is –hard. 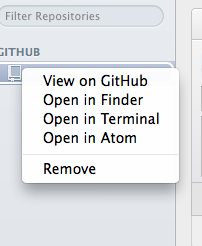 From mac os 10.8, it begins to support Github, we don’t need to install a third-part application, sounds good. After got a try, it is really good, just create a repository and do the git init command, after we can clone the existing project or create a new one. C’est pas fini. That’s not all, Github provided several methods to visualize the project. And I found a very useful, even better than Sublime, because it doesn’t need to make the complex configuration, and easy to install the tools, for example, vim mode etc. Background : Add an existing local project to github repository. Although the github’s helping article Adding an existing project to GitHub using the command line is very complete, but it existing alwarys some errors. And I will try to add some chinese translation some command just for understanding. 2. Initialize the local directory as a Git repository. 3. Add the files in your new local repository. 4. 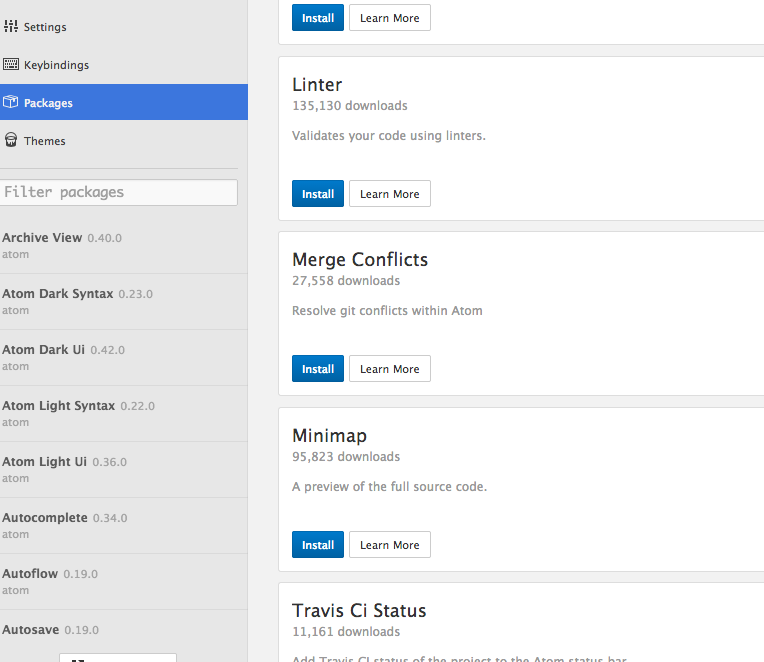 Commit the files that you’ve staged in your local repository. One thing you have to know here is that, commit is just record your local changes to the project, but the changes hasn’t been combined with your remote project.